I have had the privilege of helping clients with their real estate needs for over 25 years. 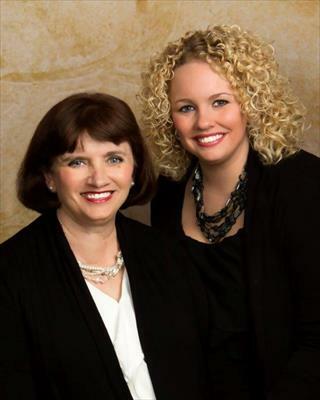 My daughter, Carla Bingenheimer, joined the business with me as a licensed agent 5 years ago. While I love negotiating, listing the home, and preparing the home to close, Carla enjoys the marketing side of the business. We are a great team! Whether you are planning to buy or sell, give us a call. Our clients will tell you that we are trustworthy, hardworking, and very dependable. We will be working for you and we pride ourselves on taking the stress out of buying or selling a home. The purchase or sale of a home does not have to be a painful experience. We are available 24 hours a day, 7 days a week to work for you. We have experience in selling all types of residential homes, land, suburban property, and new construction. Phyllis is an Accredited Luxury Home Specialist, eCertified, gCertified, and a Relocation Specialist. Whatever it may be that you are searching for, let us help you today! We are committed to making your real estate experience a positive and enjoyable one. Buying or selling a home is one of the most important decisions you will ever make, so let us help you make the right decision. · Committed, full-time Realtors serving all areas in Kansas. · Members of the National Association of Realtors. · Luxury Home Specialists, eCertified, gCertified, Relocation Specialists. · Consistently Multi-Million Dollar Producers - helped hundreds successfully sell and buy properties. · Consistently Top Ten Agents within in the company. · Wichita Residents for over 21 years. · Volunteers throughout the community. · Members of multiple local associations and sit on several boards. · Recipients of the Master's Club, President's Club, Honor Society Award, and Sterling Society Award.